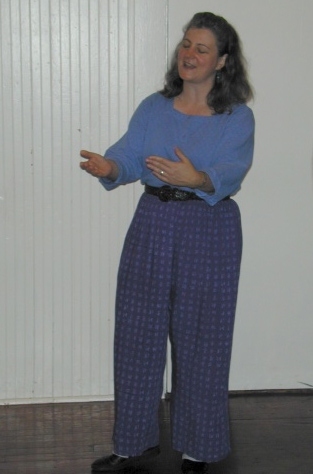 Lise M. Dyckman is an accomplished and beloved Contradance and English Country Dance teacher and caller, having studied and called in Philadelphia, New York City, and California's Bay Area region and beyond. For information on hiring her to call your dance event, please call or write. This page begun 6/21/2004 is a work in progess. With the exception of the photo of Lise copyright 2002 Nick Cuccia, all materials at http://dance.rulise.net are copyright 2004 by Lise M. Dyckman and licensed for non-commericial use with credit under a Creative Commons License. For commercial use, including but not limited to reproduction in any form, please contact me at dancerights (at) rulise.net - thank you, and happy dancing!